Side webbing loops designed to attach keys or a water bottle. Zippered closure to the large main compartment. Interior pocket sized to fit a smartphone. 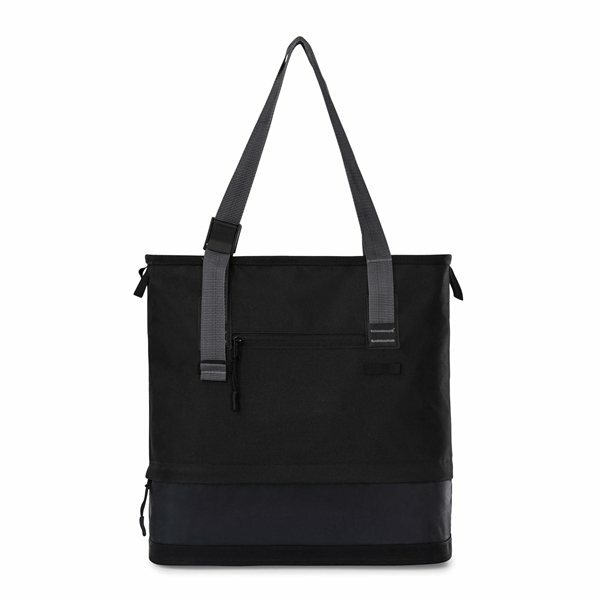 Zipper with rain flap provides access to the bottom compartment perfect for storing shoes, a jacket or a towel. Framed bottom gives extra structure to the tote. Cam buckles allow you to adjust the shoulder straps to different lengths for carrying comfort. 30" shoulder straps at the longest length. 11" grab handle straps at the shortest length. Material: 600D Polyester, 210D Dobby.